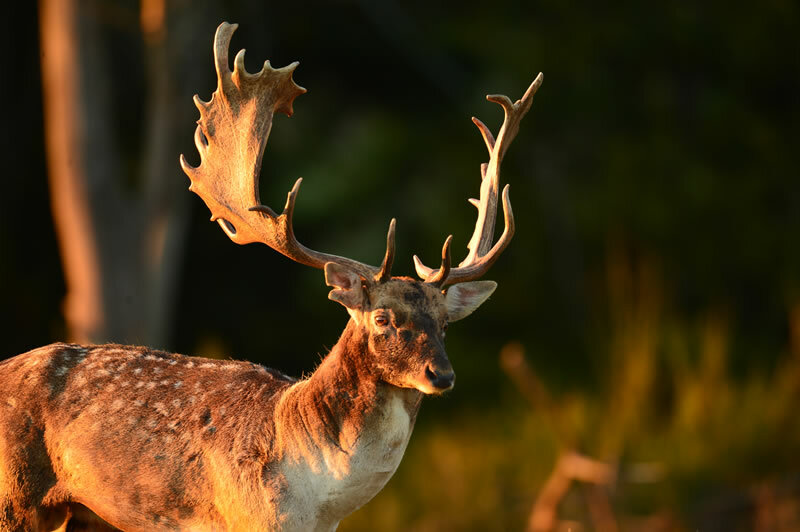 The fallow deer (Dama dama) is the most elegant animal of the French forests. Originating from western Asia, it was introduced in France (called “La Gaule” at the time) by the Romans. Its large palmate antlers, associated with various hairs colorations make it a unique animal. 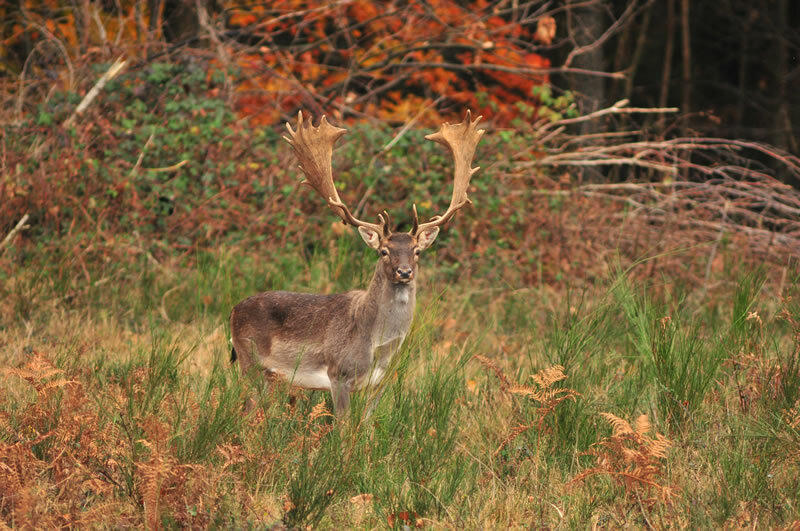 The rut period starts in October and offers many fallow deer fighting sights. The fallow deer is cunning and therefore difficult to hunt. As for the red stags, our trophies are the result of many years of genetic selection among the best European populations. Some of the best French trophies originate from Laplanque. 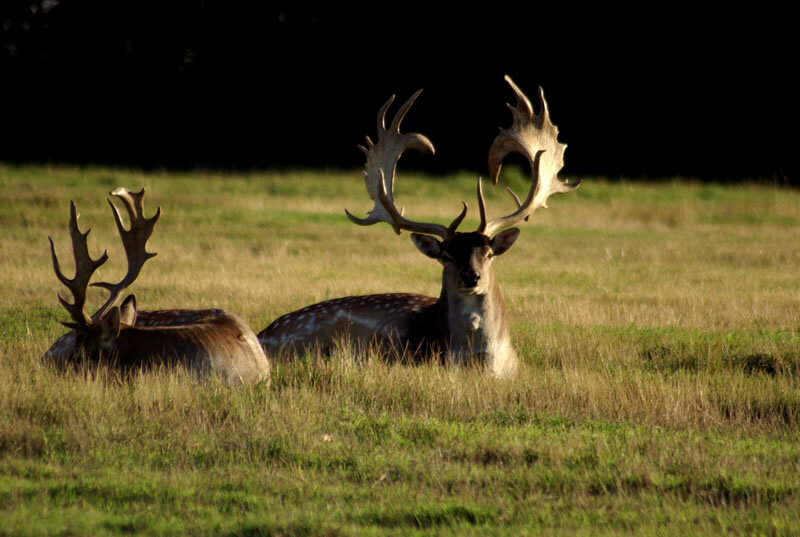 The fallow deer’s antlers have very large palms and many branches.